There are so many great shore excursions in Grand Cayman - it's really difficult to choose which one to do! There is a great Sting Ray encounter at Sting Ray City. Or you could go to Hell. Or a Turtle farm. There are also some amazing beaches where you could laze in a lounger and wade into the beautiful crystal blue waters of the Caribbean. 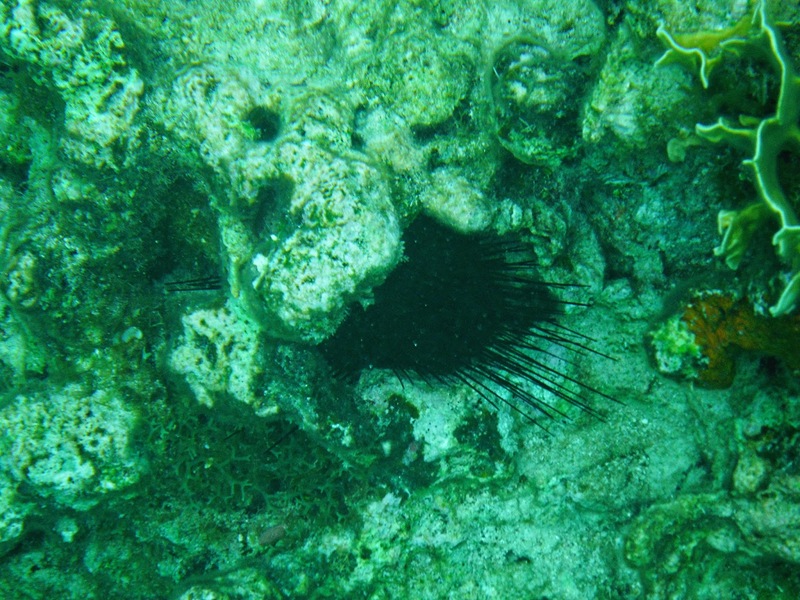 My favorite excursions are ones that get me in the water - and especially when I can snorkel. 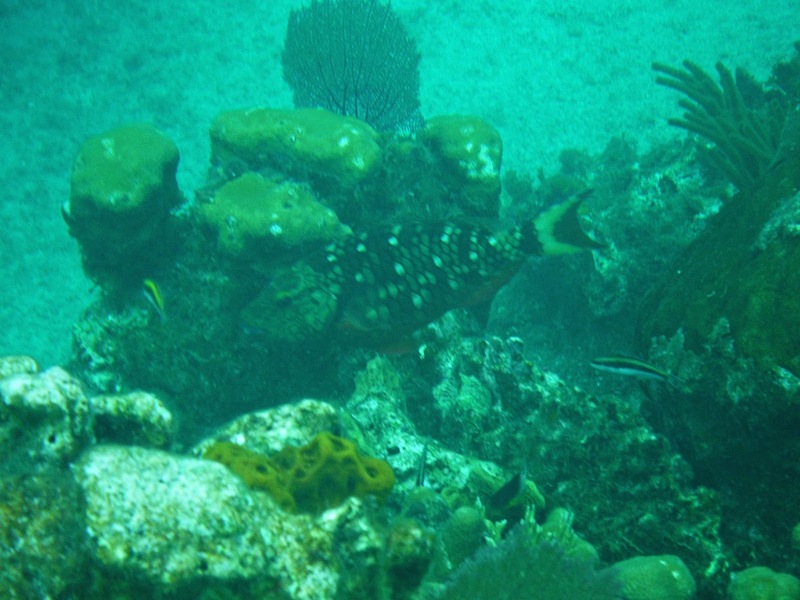 I love looking at the coral formations and all the gorgeous fish. 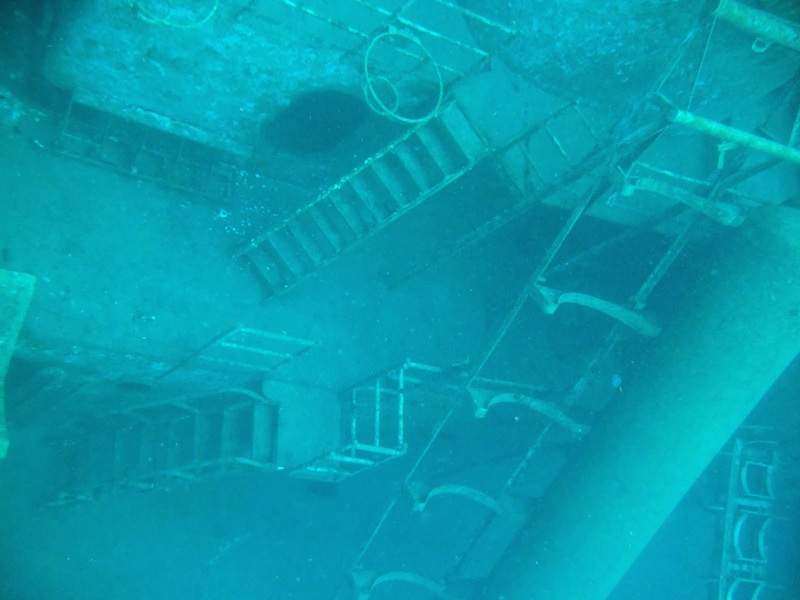 But when I heard about this snorkel trip where I'd get to see the USS Kittiwake - it just sounded too cool to pass up. 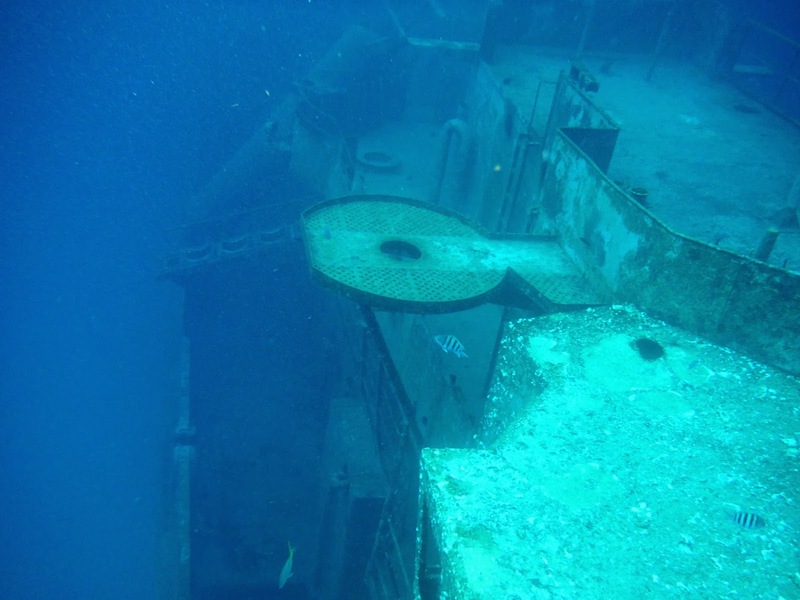 The USS Kittiwake was a US submarine rescue vehicle that was in commission from 1946 - 1994. In 2008 it was sold to the Cayman Islands. 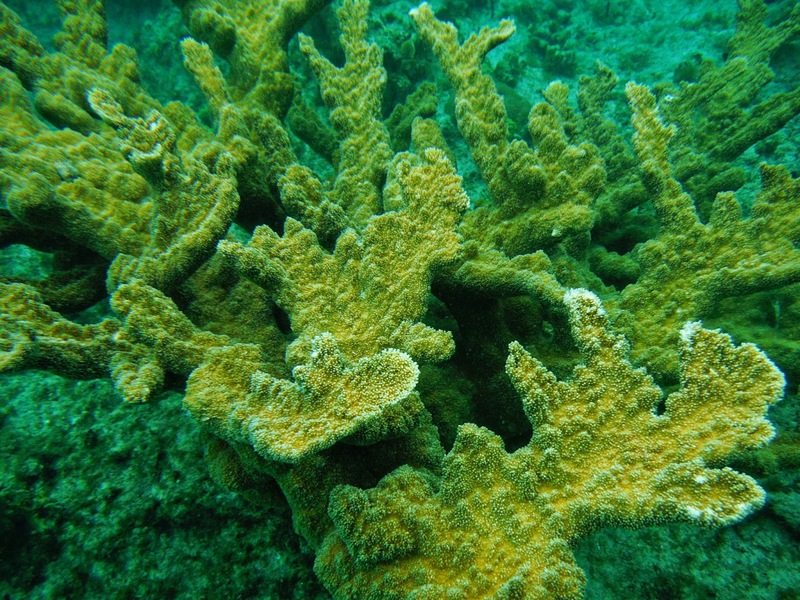 The government of the Caymans wanted to use it to start an artificial reef near 7 Mile Beach. 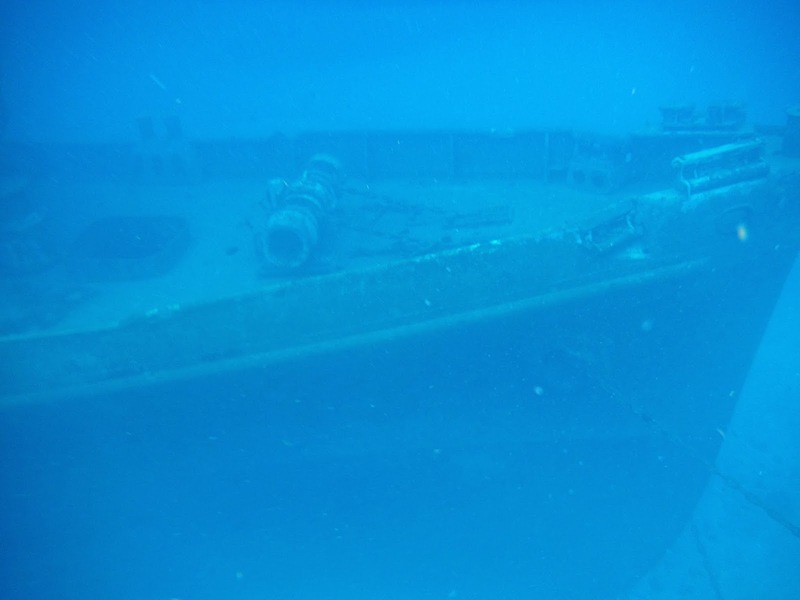 It was sunk there in January of 2011 and rests in about 60 feet of water - resting on the sandy bottom. 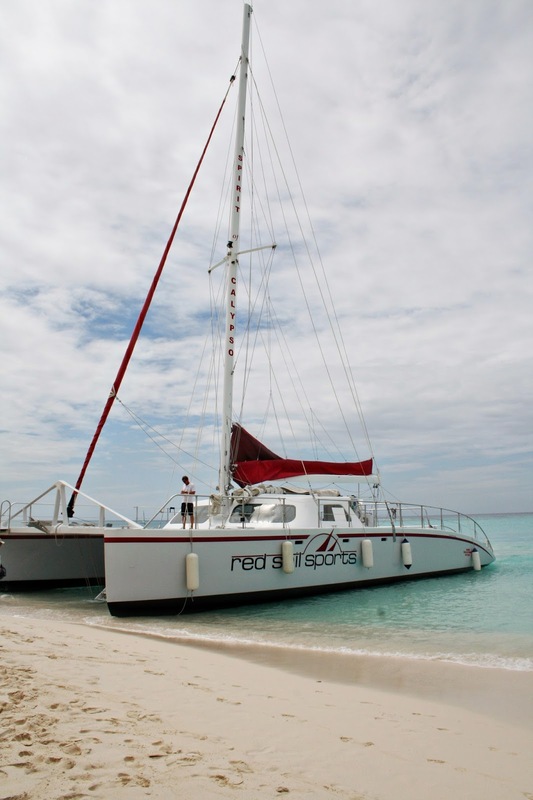 Our excursion begins with boarding a catamaran right from 7 Mile Beach (in front of the governor's house). We had a short ride to our snorkel spot. 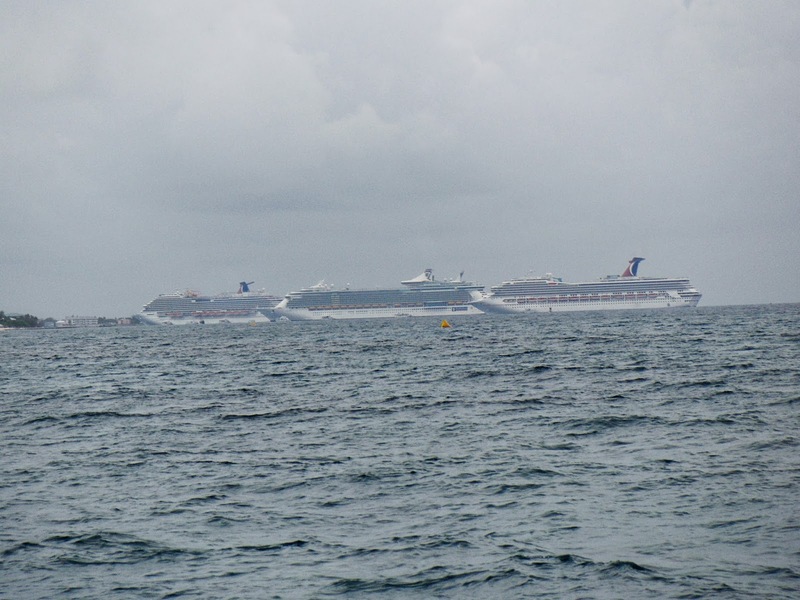 We could even see our ship! The day was cloudy and had rained earlier so the water was really choppy. We had a couple of novice snorkelers onboard who were not able to handle the water. 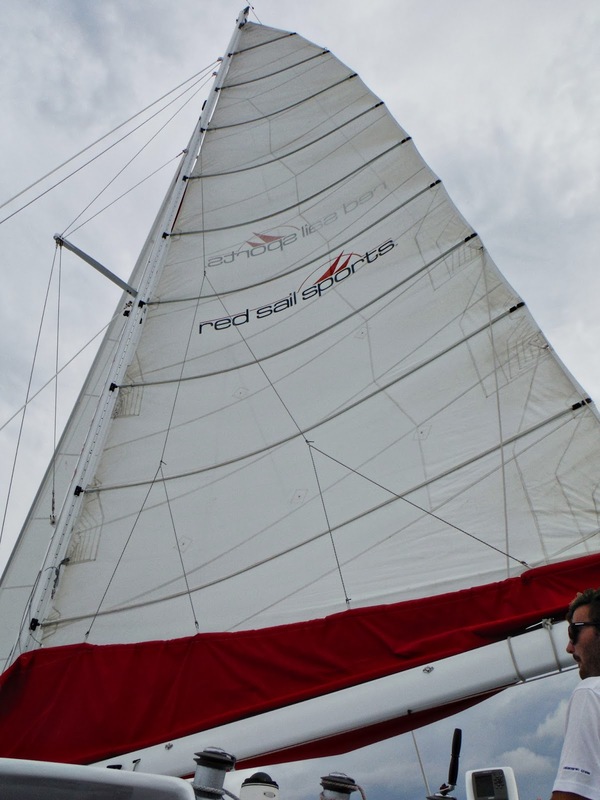 One thing I do want to point out though is how easy it is to get on and off of a catamaran. 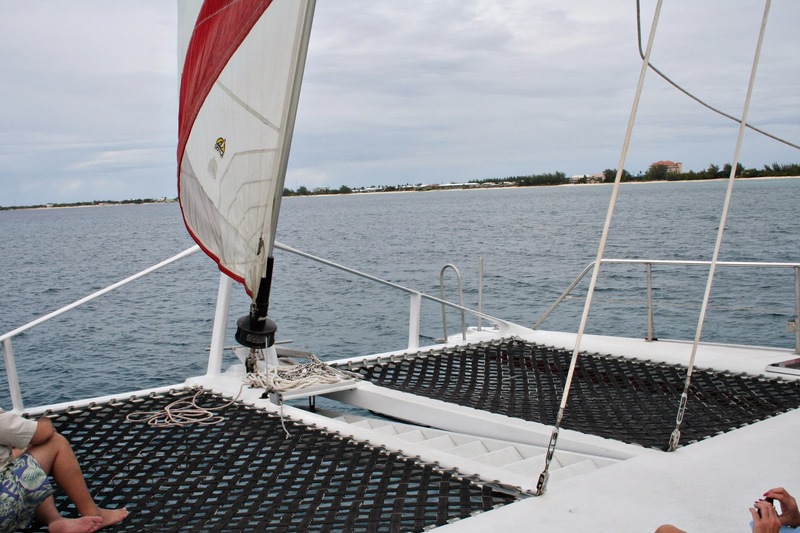 Being a larger person, a straight up and down ladder is really difficult for me to use - but the ladder on a catamaran makes it really easy to get in and out of the water if you have size or mobility issues. 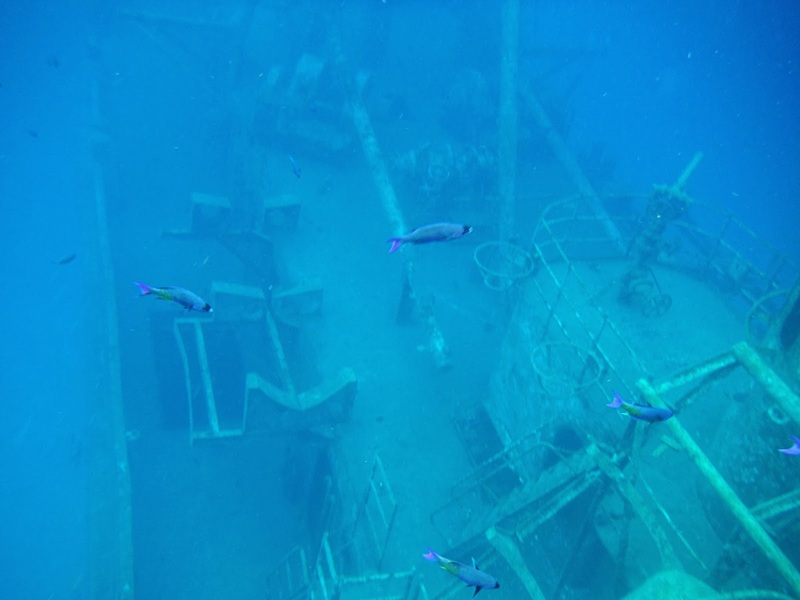 Again, with the water so choppy, the visibility wasn't perfect - but I still got some wonderful shots of the USS Kittiwake. 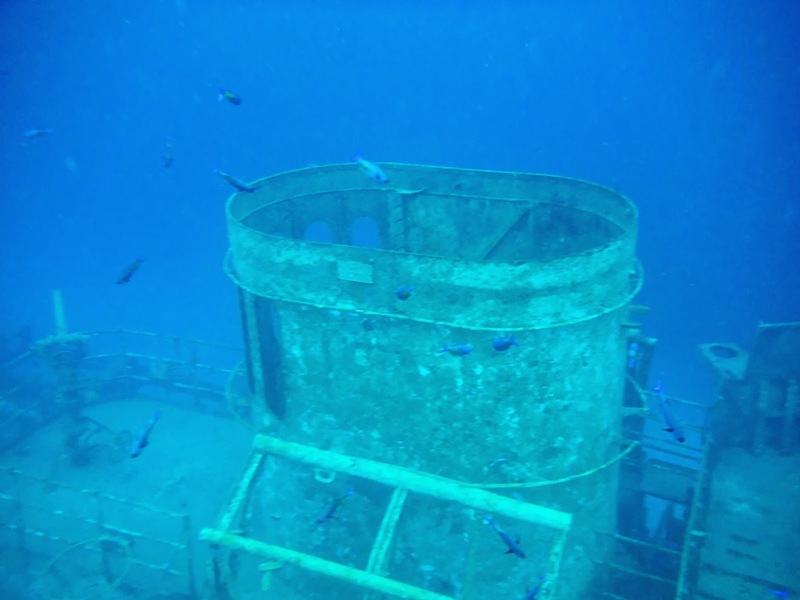 We spent about 20 minutes here before we all got back on board and we moved a few hundred feet over to a coral reef. 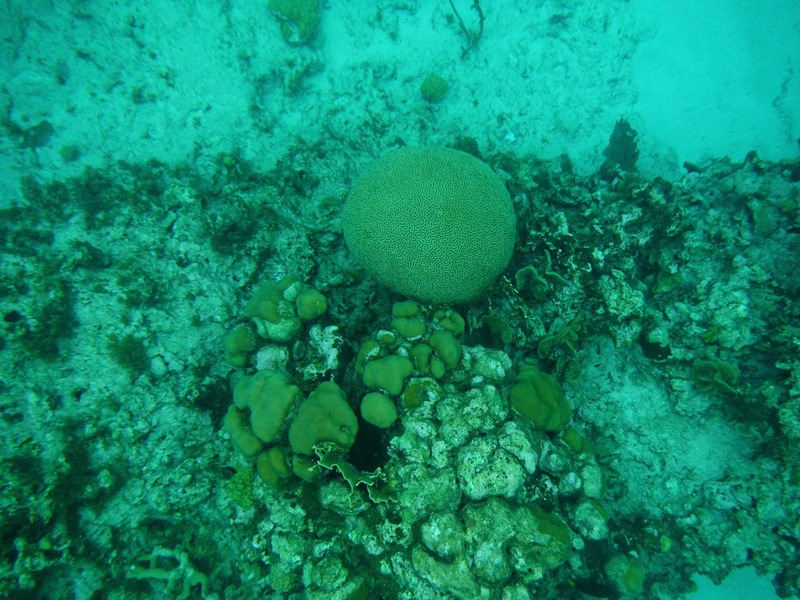 The reef here was really cool in that it had rows of coral next to a sandy patch followed by another row of coral - probably about 20 rows in all. Made for some fantastic scenery! So - how about you? 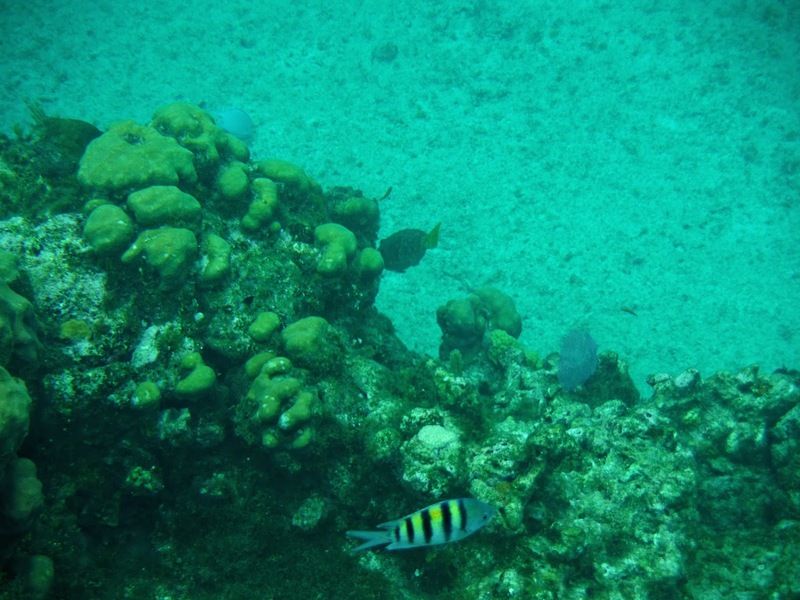 Are you a snorkeler? 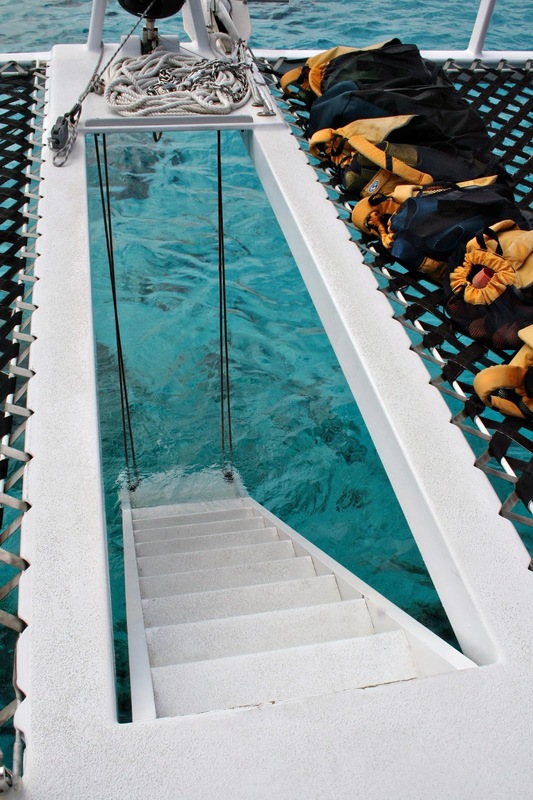 Is this an excursion that you would try?